When I tell people that we are striving to get out of debt and the things we do to achieve that goal, they first look at me like I just told them we plan on moving to Mars. Then they start with the excuses. 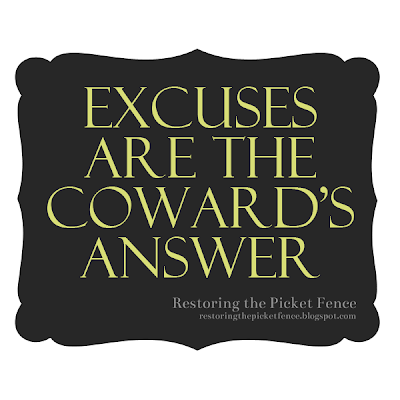 We all have excuses, but it takes guts to toss the excuses and stomach reality. #1 I need a smart phone for work, I can't get rid of my plan. That's not true (well, you may need it for work, but you can totally scrap that plan). Let's say you have AT&T. #2 I need a good car for work, so I don't mind having a car payment. Ugh. Stop. Be honest, you just don't want to roll up in a car with mutli-colored parts and an awkward thumping sound. You have a car, but you don't own it. Woo hoo! Sell your new car. Any. Way. You. Can. Buy a car for $1,000 (3 months of car payments). Put $100 into a savings account each month for car maintenance and eventual car replacement. You should be doing this with a new car as well for maintenance. #3 I could never part with cable -- I have to unwind with television at the end of the day. Sure, I get that ... to an extent. I like to let my brain melt for a little while as well, but you don't need cable to do that. We do Netflix and Hulu and that's more than enough. If you do all three of these, you could save $515 per month. That's a lot of money. How much money? So in the end, your $515 in savings each month saved you over $5,000 and 10 years of payments (not to mention the interest you saved by selling your new car and the months of payments saved there). This is just a tiny glimpse of how making small sacrifices pays off in the ending. As Dave Ramsey would say, delaying pleasure is a true sign of maturity. 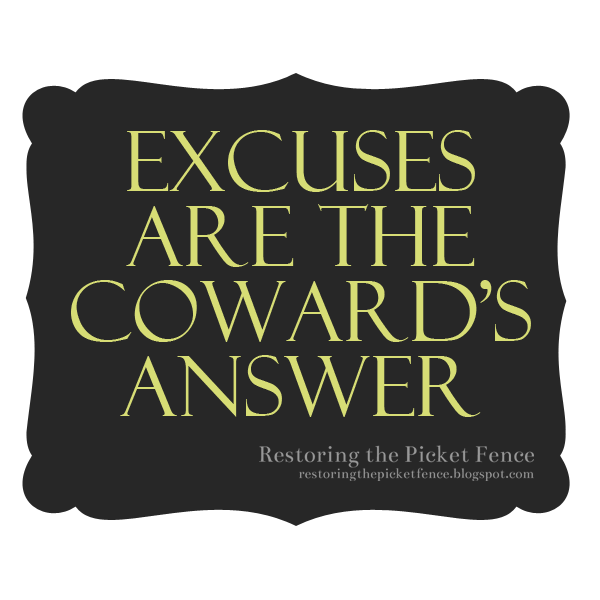 Stop making excuses, stop being a coward and start making changes for a better future. Note: I am not a financial consultant. These numbers are calculated by me. To get accurate advice for your situation, contact a financial planner.